First on our list today is this slick setup on USD/CHF. After using the area of .9010 as support in the past couple of days, the pair finally gave in to selling pressure and broke downwards. Now, it looks as though it’s preparing to give this level another go, but this time, from below! 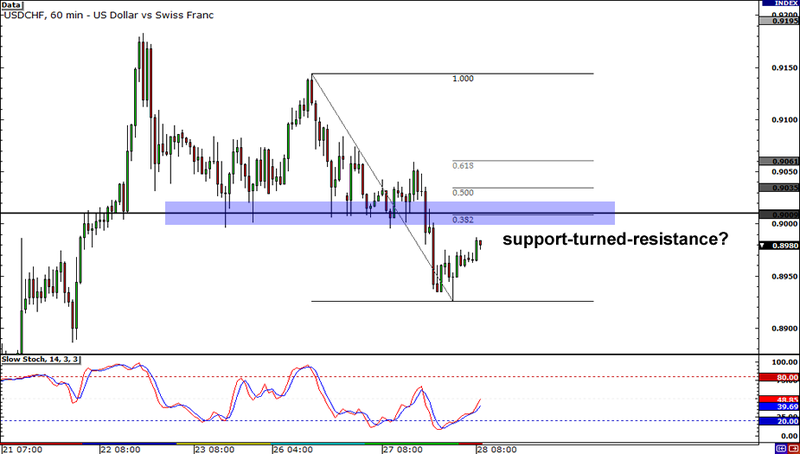 If you think the 38.2% Fib will act as a support-turned-resistance level, keep your eyes locked on USD/CHF. Price is slowly making its way back up, so be sure to watch out for signals from candlesticks and Stochastic. 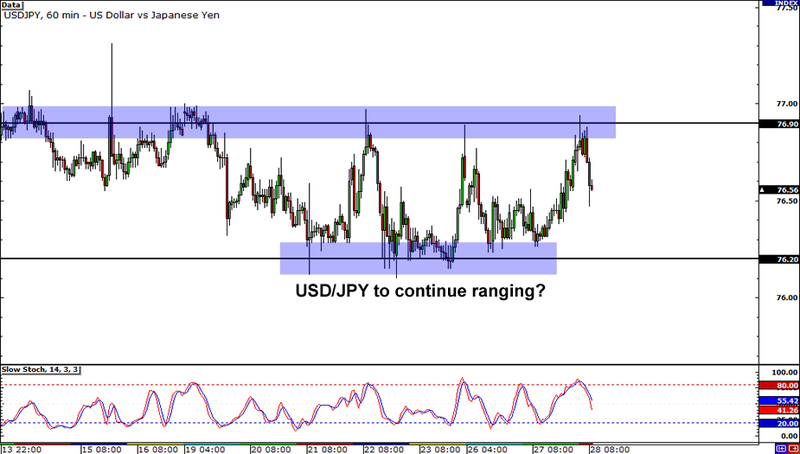 If range plays tickle your fancy, then USD/JPY has just the thing for you! It has been bouncing up and down a narrow 70-pip range the past few days, but right now, it’s right smack in the middle of nowhere. If you’re looking to go long, it might be wise to buy in the area of 76.20. On the other hand, if you plan on selling USD/JPY, you may want to wait until it retests the area of 76.90. Either way, don’t let yourself get burned by a breakout! Wait for candlesticks to give you the green light, bro! Last but not least, we have EUR/JPY! 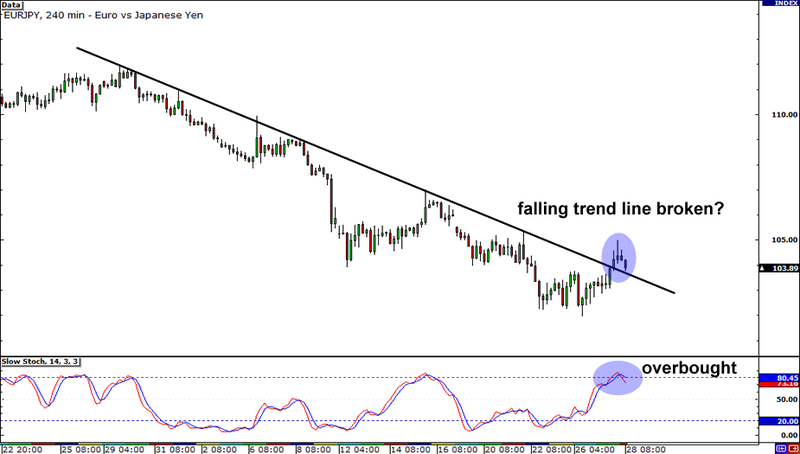 Buyers were finally able to break the falling trend line on EUR/JPY. Usually, this is a sign that the pair is about to forge new highs, but so far, it doesn’t seem like the market is ready to take it higher. The 105.00 major psychological handle has been acting as resistance and price looks as though it wants to fall back below the trend line. At this point in time, it’s best to wait for more signals from the market. If candlesticks begin closing below the trend line again, it could be a sign that the pair is ready to resume its downtrend. Stay flexible, kids!